Some would even argue that the traditional idea of a working class doesn’t exist. Is there actually any statistical evidence that the ‘working class’ aspire to own a Rolex? OP can you say where that was? It’s a good selection actually. the picture may be taken 2, 3 years ago. Why? A TT Daytona isn’t exactly the hottest Rolex model around? Also the prices on display reflects the recent price increase in 1st October. True Not seen one in window for a while though. [QUOTE=111forza;9081704]This has to be the most SS sports pieces I’ve seen in any UK Rolex AD window in a while. wow which AD and city is this? Pretty clear it’s a TT model. You can see the gold and the non ceramic bezel. A regular sight across ADs. 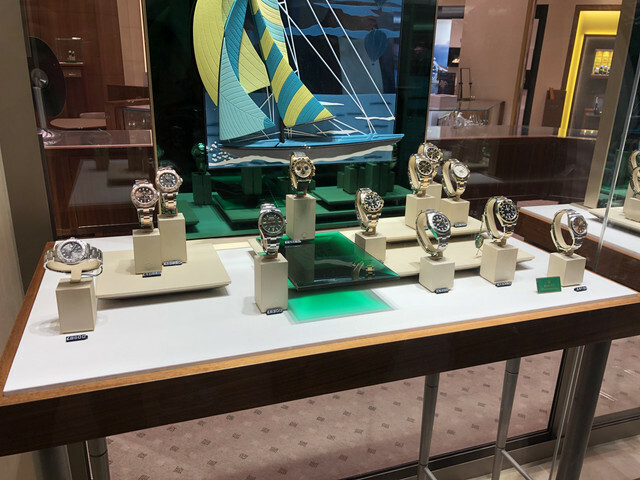 In order for this post to be considered for forum acceptance, you will need to provide undeniable and specific documentation (proof) of the existence of this Rolex strategy you mentioned. The general opinion these days is that Rolex is not implementing a strategy in any way, but rather the intensely hot global economy is simply outpacing the production and distribution of SS Sports references, so any mention of a "strategy" will be challenged. 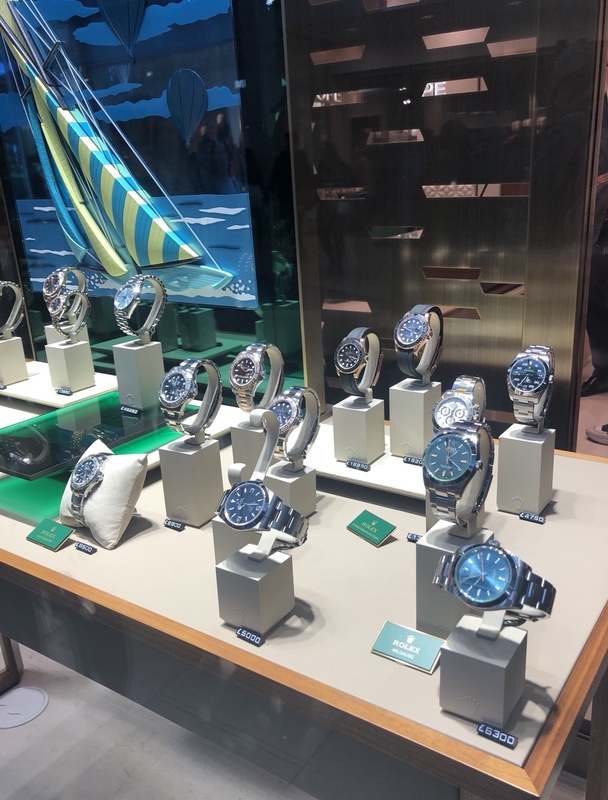 Their mild strategy of curbing flippers by vetting and restricting allocations is in reaction to the huge rise in demand in 2017 as they freely admit, but Rolex are not behind this transformation of the market for Rolex and PP and AP sports models, they are just the beneficiaries. Probably cause it’s a TT Daytona. Ah yes I see that now on the pushers. I still haven’t seen one in a window (in London) for ages though. Would have expected it to be snapped up given the ceramic Daytona is a pipe dream. Maybe it's a huge sticker at the window. Goldsmiths in Lakeside has handful of sports models. Photo was taken on Sunday. Yes there’s a YG Daytona C on Oysterflex. This has to be the most SS sports pieces I’ve seen in any UK Rolex AD window in a while. I see one of my grails in that window! !